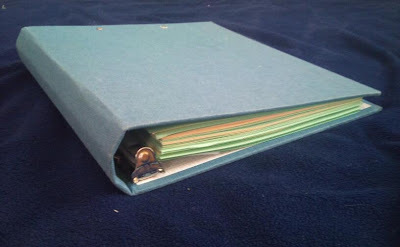 When I was young my mother made my siblings and I these fantastic quiet books full of fun simple activities like lacing up a football, putting earings on a lamb, hanging clothes on a tiny clothesline, matching shapes, putting cherries in a bucket and writing notes on miniature note pad. They were handmade, beautiful, and so creative. They must have taken her hours to make. I've always intended to make some thing similar for my children, but I have to admit crafting is not my strong point. The idea of making a quiet book seems really overwhelming to me. Yet I desperately need something to keep my kids occupied and somewhat quiet during church. This was very apparent to me two weeks ago when I was "flying solo" at church and both my little rascals decided to take off running in opposite directions in the chapel... screeching. By the time I chased them down and go them into the foyer I wanted to crawl into a corner, die, and never go back to church... in that order. So a few weeks ago when I was cleaning out our desk I came across our pile of Ensigns (the religious magazine for the LDS church). It was huge. My husband won't let me throw them away so we had about three years worth of magazines. As I was flipping through them I realized that they had beautiful pictures in them that would be wonderful to cut out and save. I finally convinced my husband to let me cut up the old magazines and then I pasted the pictures onto card stock to make a .... quiet book! I just punched holes in the card stock and put the pasted pictures in a binder. I tried to arrange the pictures in chronological-ish order.. Old testament stories, New Testament Stories, Book of Mormon stories, and LDS Church History. 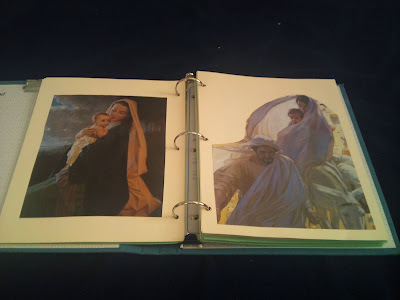 I love this painting of Mary and Joseph on the right. Love, love, love. My sister-in-law's aunt painted it. The best part about this quiet book is that the Ensign is always publishing paintings of women in the scriptures. I'd say about 1/3rd of our book consists of painting of different stories on women in the scriptures and in LDS church history. Awesome. This has really been a great thing for my little three-year-old. He loves to look at the pictures and I love to tell him the stories. I'd thought I'd pass this idea along just in case there is anyone else out there who struggles in the crafting arena....and who has a huge pile of old Ensigns. How do you keep your children occupied ( ie. not screeching and running down the aisles) during church? I love this suggestion! Thanks for the idea. Oh, thank goodness! I thought I was the only one who's kids are a little crazy! Our sacrament meeting is last, so I feel like it's even more difficult! We have a book like the one you made. 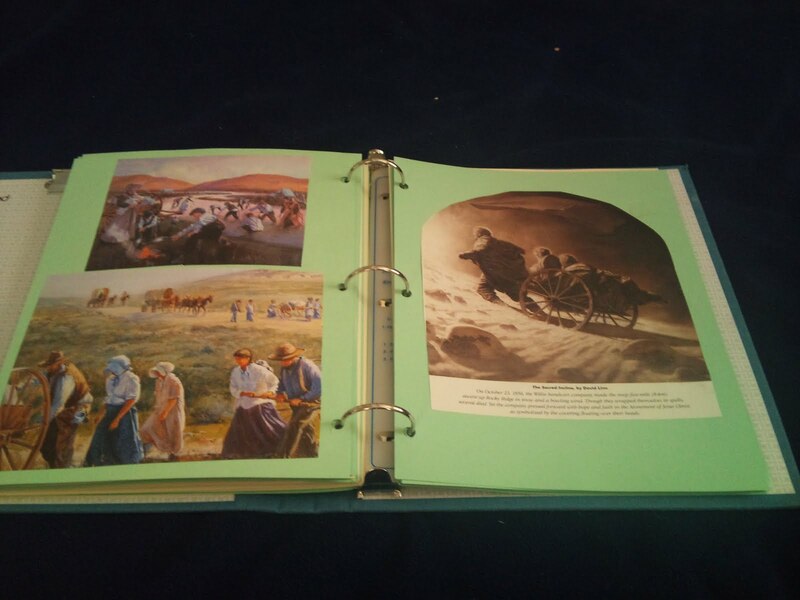 I also printed some pictures on cardstock, laminated them with contact paper, and punched holes around the edges for a "lacing" activity. I have also printed on cardstock and laminated some of the activities from the nursery manual. Snacks help a lot too, but we always make such a mess!! Also, you could get some large beads (or wooden cubes/spheres with holes drilled in the middle) and a shoelace and let your kids practice stringing beads? If these certain things are JUST for church it might entertain them longer! lol. that's a great idea! I just sit on my kids. 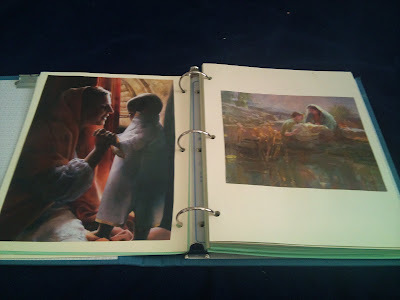 I have a similar book that I put together using pictures that I bought and then I added Primary songs and scriptures that go along with the pictures. But even with the book and other items I bring to church...the boys (I have 3 now) are still not always well behaved. Mmm, I have no ideas for keeping kids quiet, mine is only 4 months so I am just starting to think about bringing anything extra to church for her. However, to expand on the use of Ensign pictures (I do love this idea), on my mission we had piles and piles of old Ensigns. 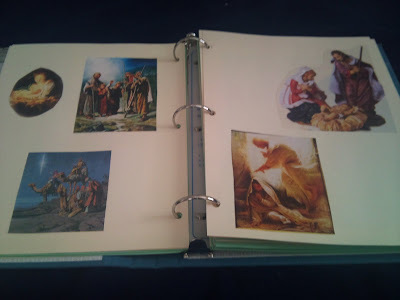 We cut out the smaller pictures and pasted them into the appropriate places in our scriptures. It made it easy to find specific scripture stories, and it was fun to flip through the scriptures so visually. Could be a fun thing to do with kids, too. Wonderful ideas! Thank you so much. And Mommy D, thank you for all the links they are great. Maybe I will have to try a fancier quiet book. You know, I think that it always seems like your kids are more out of control then they are... I mean when I see other women's kids they look so good but then when I talk to the moms they feel like everything was wild. I guess when you are on the inside it just seems worse. thank you for this neat idea..i stumbled onto your blog and so happy i did...i have 7 oldest is 10 and youngest is 1 1/2...i bring a few books for our littlest but the others through example don't use anything and we're not perfect but i do receive complements on how well behaved they are-this has been a process.. if I do have to take one out I bring them into a room and stand outside the door and tell them when they are ready to behave in the chapel they may come out this helps avoid the whole game of getting to go out in the foyer thing....my husband is a fireman so quite often not there...but we have lovingly tried to tell them that the speakers are speaking to them not just to the adults....i did once try another person's idea- how well you do in church = how many homebaked cookies you get :) (3 max) it's not easy...but i love your idea...great way to feel the spirit and let them have happy memories....thanks! what a great idea! and just in time, my Sunday yesterday was similar to your experience, only i am flying solo most of the time. coloring keeps them occupied but i don't really want them to be coloring when they pass out the sacrament. this will be a good thing to make for my two little rascals to keep them busy during sacrament, and i have tons of ensigns lying around my house! I would be happy to send you an email if you're interested in having a few different options for your kiddos.